Pregnant Zara Phillips watched her horses compete in a point-to-point event in Gloucestershire as she is days away from giving birth. 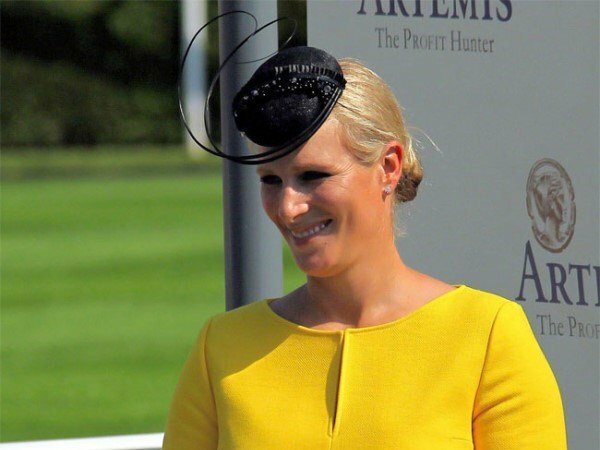 Zara Phillips watched her horses compete in a point-to-point as she is days away from giving birth. The Queen's granddaughter, who is expecting her first child with rugby player husband Mike Tindall, was on hand to monitor her equine charges at the Heythrop Hunt Point-to-point in Gloucestershire on Sunday. The Olympic silver medallist was later spotted watching the races from the sidelines wrapped up in a parka coat with a fur hood. The mother-to-be looked less than impressed with the performance but smiled for onlookers and was seen laughing and joking with friends, despite the absence of her husband at the event. The 32-year-old royal is due to give birth this month and is expected to welcome her baby at NHS Gloucester Royal Hospital. The maternity unit is close to where Zara and Mike live, on Princess Anne's estate, Gatcombe Park. Zara had three horses entered for the point-to-point, including the hotly-tipped Devils Boy who appeared in the first race of the day. Other entries included Fiddle Faddle, which is owned by her mother, The Princess Royal, and Calusa Comet, a six-year-old Irish bay. Princess Anne was nowhere to be seen at the event while Rebekah Brooks, the former News International boss, attended the races with her daughter, Scarlett. Queen Elizabeth also braved the cold on Sunday and attended a service at St Mary Magdalene church in Sandringham, along with the Duke of Edinburgh, who arrived on foot and greeted well-wishers.